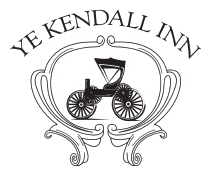 The history of the Ye Kendall Inn begins April 23, 1859, when John James sold the land to Erastus and Sarah Reed for $200. During this time the Reed’s built the center section of the Inn as their home, bringing the Southern Colonial style of architecture to the Texas Hill Country. Back in the early days there weren't regular hotels for travelers however, the few homeowners of the town shared their spare rooms. This is where the Reed’s hotel tradition began. Renting out their spare rooms in the Old Reed House to horsemen and stagecoach travelers. The grounds around the house served as a wagon yard for ranchers, who penned their cattle in what is now the City Park, awaiting other cattle for a big drive up the trail. The Ye Kendall Inn is both a Texas and National Landmark and has given shelter to many famous people including Jefferson Davis, President Dwight D. Eisenhower, and Robert E. Lee. The main structure of the home (original building) is constructed of native rock walls, which are 20” thick. The front porch, facing south, has excellent exposure for staying cool in the hot summers. The property extends down to the Cibolo Creek and consists of approximately 5.2 acres. Since 1982, the Inn has had extensive and ongoing restoration to bring back the historic beauty of this true Texas treasure. Today all 34 exquisite guestrooms, suites, and cabins have been uniquely decorated. The Original 4 rooms of the Old Reed House have been completely renovated and transformed to create what are now 2 of our Grand Suites; Keeping some of the historical details with a modern twist. The additions to the Boerne Hotel include 7 second floor rooms. These guestrooms have been beautifully decorated and boast a perfect view of the Boerne Square from the porch. Later renovations to The Kendall include our Courtyard rooms with modern furnishings and easy access to our famous Antebellum Courtyard. Throughout the years, historic buildings from all over Texas were trucked in and reassembled to create our family of Cabins; With names like Enchanted Cabin, Schoolhouse (an original schoolhouse), and St. John’s (formally a historic Lutheran Church) you are sure to find your stay with us an exceptional experience. To accommodate the burgeoning need for large venues, the current owners have built Kendall Halle, a large event center. Here Brides, Families, and Businesses can hold gatherings (Weddings, Family Reunions, Conventions, Seminars, Etc.). The Halle can be divided to fit any size you may need. New to The Kendall is the Five-Star restaurant, Peggy's On The Green, a Chef Mark Bohanan restaurant. The taste of Southern Heritage foods and American dishes are sure to leave a lasting impression. It is a must try! Don't forget to visit our sister property, The William located at 170 S Main - Boerne, Texas 78006. These rooms provide a luxurious departure unlike anything else you will find. Overlooking Historic Downtown Boerne, Texas you are just steps away from the Specialty Shops below. Visit us @ www.thewilliamboerne.com for more info! Please call us for any vacation, staycation, event, or weekend getaway plans. It would be our pleasure to serve you.